I am excited to announce the cooking class in June. Each class is held at my small but cosy kitchen. If you are interested in the class(es) please let me know with the course, your name and mail address using comment below. All ingredients and the recipes in English supplied. If you have any allergy or you want to avoid, please let me know in advance. I will try to arrange for it. You can take away the dishes you (we) have made during the class. The class, limited to the maximum of 4 people, will be charged at a ￡20 per person. If you can not attend the class you have booked, please let me know as soon as possible. Should you need to cancel with less than 48 hours notice, I will regrettably charge you ￡5 per person. Other cooking class, such as Tempura, Noodles, Japanese Curry, Nasu-miso (Aubergine with Miso), Gyoza Dumpling, Nikujaga (Potato & Beef Pot) will be arranged later. Also I will have more classes in the future. 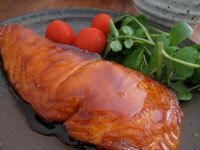 Teriyaki cooking class is held on 11th (Wed) May from 9:15am – 11:15am (2 hours duration) at my kitchen in North London. There are 2 remaining seats. If you are interested in the class please comment below. The class, limited to the maximum of 4 or 5 people, will be charged at a ￡20 per person. 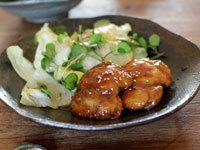 Please forward this e-mail to your friends or someone interested in Japanese cooking. 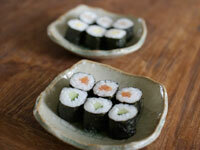 Other cooking class, such as Sushi Roll, Inside Out Sushi Roll, Tempura, Noodles will be arranged later. Basically, I will inform of the next class via e-mail first, then on this blog (https://mizue20.wordpress.com/). If you want to add your name on the mailing list please let me know using comment, too. I am very pleased to announce the cooking class now in English!! 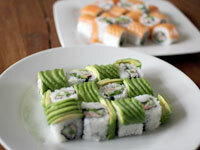 The Roll Sushi class on following dates from after dropping kids, from 9:15 to 11:15 at my kitchen. Sorry, if the time is not convenient for you. I will be able to arrange it in the future. Please let me know which day(s) you prefer with your name and contact number using comment below. 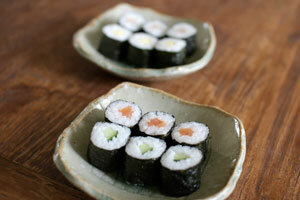 Other cooking class, such as Inside Out Sushi Roll, Teriyaki, Tempura, Noodles will be arranged later. Basically, I will inform of the next class via e-mail first, then on my blog here (https://mizue20.wordpress.com/) mid of every month.